Dog food manufacturers are tricky… credit where credit is due, they sure know how to pull a “fast-one”. Hi Andrew. Great advice. I just got a three month old mix pitt/boxer. The first week he was with us he had aweful diareah. I was giving him what i thought was good food, but he hated it. I then started giving him boiled chicen, rice, carrots..he loved that.. His stool got better in a few days. I don’t want to spoil him(too late). but not sure on a feeding schedule, or what I should ultimately feed him. I just bought Nutrisca. He likes it. What do you think? What is the safest brand of dog and cat foods? what do you think of blue buffalo freedom dog food? is it good? Thank you for researching and addressing this problem. I have been suspicious about dog food for quite a while. My first two dogs both died from epilepsy (along with other problems including tumors that were never biopsied)and my cat has developed numerous health problems. I am hoping with this information I will be able to prevent the same fate for my 3yr old Jack Russel/Poodle cross. I am already trying what recipies are available to me and will be buying your book as soon as I can get a job and afford it. Do you know if anyone has done similar research particularily in respect to a healthy home made diet for cats? I would also be verry interested in this but have been unable to find anything so far. what is your opinion on dog vaccinations? is that discussed in your book? I completely agree with Andy. As more research is being done on this, scientists and veterinarians alike are finding that a good protocol for vaccines is every 3 years. If unsure, have your dog’s titer checked. I’ve had Yorkshire Terriers almost 30 years and never had one to die from any disease we vaccine against. I also absolutely refuse to allow any vet to give my Yorkies the Leptospirosis vax. This may lead to kidney failure within a few days, so many side effects. Although this is an infectious disease and humans can also get it, your pet must be exposed to rat urine or ingest an infected rat; I’d much rather keep mice out of my home (I’d do that anyway !) than risk the side effects for this vaccine….I’d rather risk the disease which can be cured with a simple antibiotic than ever see one of my Yorkies experience what happened to my little Chestnut after getting this vax. I have pics ! She lived, but there was a round place on the side of her neck that turned very hard, the center was black and hair never grew back there the rest of her life. Many people are hearing about the dangers of this vaccine and have stoped giving their pet Leptospirosis Vaccine, too. I have had one sheltie die with serious IBS and don\\\’t want it to happen to my new puppy. I am making his food and mixing in some Metacal (only available at the vets) It is very expensive and I wonder if it is OK.
Hi Sally, I’m not a qualified vet and would be doing you a disservice to give advice on a prescription drug for your dog. However I will say I know of many, many robust and healthy dogs that thrive on a balanced home prepared diet without drugs. Thank you for the info. We will get your recipe book and see if we can find something that fits Akita’s diet and use it for Chianti too. Some of the info was disturbing but we are glad to know how to help our pets. You’re very welcome Michelle, let me know how it goes. her dog food had a great deal with her problem I constanly exercise, never over fed. However, I never paid attention to label. the advertisment always said what I wanted to hear! now I\’m only feeding home cook meal. Hopefully 2 keep my friends with me her natural life span…Quick question. Is it ok to feed my dog Brown rice everyday with her Chicken and Veggie? any suggestion is welcome. Thanks Dorian. Yes, brown rice is good for a dog, especially if diabetic because the high fiber slows the release of glycogen into the blood. I feed Merrick food and haven’t seen anything that your talking about in your video in my dogs food. The dog food I buy is family owned not by big company where there only thing to get is big profit. Most commercial dog food is not actually aimed at nutrition for the dog or cat it is aimed at people who like the pretty bags and pretty like shapes in color in their dog food without them once glancing on the back or sides of the bag to see what the animals is eating. 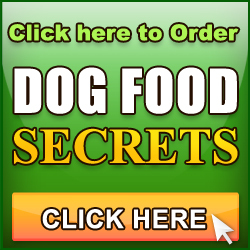 What are your credentials concerning proper diets and foods for dogs? Hi Jan, I respect that question and its one that needs to be asked. Although I have a 4-year Bachelors degree in Science and a Masters in Applied Linguistics (I speak Japanese and Spanish) I am completely self-taught on the topic of canine nutrition. My science degree was primarily involving human bio-mechanics, anatomy, neurophysiology and bio-chemistry so there are a lot parallels and overlap. I’m a proficient researcher and have a team of 5 college graduates working on my team to research and compile the information. Look around this blog and you’ll see we take it very seriously. I feed Lamb and rice dry. Is it any better than all the rest. My dof is currantly going through the heartworm treatment I live in Fla) and I want to give him the best I can . Hes’s an 108lb. American bulldog. Is your dog being treated by a vet for the heartwork condition ? I have taken heed to what you said about the dry dog food contents,checked the ingredients of every brand that I can get my hands on. Even the so called best and most expensive food has the bad stuff in it. Corn, Corn gluten,animal by-products. At last I found a dry food that has none of this stuff in it and it\’s not a popular brand. It is called \"Lassie\" Natural Way and from a company in Red Bay Alabama. I would appreciate your opinion on this. I was impressed with the ingredients: No animal By products, wheat-free. Please let me know your thoughts on this and if it is good, I hope that all your readers can take part in it. I had two female miniature schnauzers for almost 10 years. The youngest died six months ago. The oldest is showing signs of the same problems the younger one died from. Their problems began in 2007 when our veterinarian recommended a commercial dietary food for both dogs. The food they recommended was of course only available through a veterinarian. We took their advice and within months I had two very ill schnauzers and the vet bills were off the charts. When I discovered that the food I was feeding my dogs was recalled and was killing dogs all over North America I visited the vet that was selling me the food and they were still selling the same product with the same lot numbers of recalled food weeks after the recall. To make a long story short I contacted the manufacturer with the receipts for my vet bills which totaled in the thousands of dollars. Within days, with no questions asked they sent me a check covering the vet bills. Of course there was an agreement that if I accepted the money I would not take legal action. The veterinary hospital never even apologized for their part in the problem. It\’s not only the pet food manufacturers but the vets and retailers who sell their poison who should be exposed. I lost one dearly loved pet and the other is not going to live much longer even though she is now on a diet of home made nutritional food. I know in my heart that the pet food manufacturer and the veterinarian clinic were equally responsible for my dog’s problems. 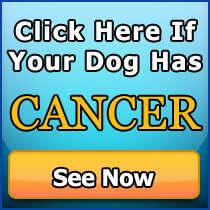 The information in your video will save millions pet owners from the grief I’ve been through. I will forward your link to everyone I know who has a pet. first let me say I’m very sorry to hear about the suffering endured by your 2 min snoz’s…. and of course you. Those companies have a lot to answer for and the paying of bills falls way short of compensating for the true loss. I don’t think a vet’s recommendation is a good enough reason to use a commercial dog food. My research showed most vets don’t take an animal nutrition class during their studies and if they do its usually taught my a dog food company employee. Vets are great people, don’t get me wrong, but the system is flawed. In your case, the indifference shown by your vet comes across as arrogant. If he’s doing his job, then its impossible he is not aware of the recall list. I hope you get many more years with your min snoz, now you have the incentive to enjoy and cherish every moment. Thanks for your commitment to spread the word. Thank you so much for your info on commercial dog food. I rarely use it but recently have started buying more for convenience. Max is 13 yrs old and had Mast Cell cancer last year and after it was all removed I only fed him home-made patties but all raw food-meat, veges, eggs, cottage cheese etc. He picked up with this food and is now a different dog, boundingly healthy despite his arthritis. I am going to cook him your Tuna, Egg Cheese recipe to see how he likes it. I’ve also read Mad Cowboy and even referenced it in the Dog Food SECRETS video. Glad you follow a healthy, homemade diet — well done! Hi Andy, I am feeding Bobby on puppy Science Plan, and my other dog a staffie x is on the Science Plan for sensitive stomach’s, he would not touch the tinned dog food, and l don’t blame him. But whatever he ate upset his digestive system. But l do on the occasion give them both eggs, and a little cheese as a treat. yes some dogs have problem tum-tums. Its best to do a little research and then try different recipes until you find something that works. Also, its vital in this case that you introduce the food slowly. I feed my youngest Jack Russell Terrier, Deano; and a Shih Tzu, Desi, a dog food called “Nutram” and Lucy my senior Jack Russell Terrier a dog food called “Nutro Natural Choice Senior.” Both dog food are SUPPOSED to have a good deal of glucosamine in it. In fact Desi needs glucosamine as he has hip dysplasia. So far the Nutram has worked wonders for Desi. Lucy also benefits from the Nutro Natural Choice. Do you have any information on this Andy? Also, thank you for this video. Omega-3 has also been shown to benefit dogs with joint probs. Its an essential fatty acid found in some foods, particularly fish. thank you, thank you, thank you for the video. I LOVE it! here, here… spoken like an EDO (excellent dog owner)! Hi Andrew, You have opened our eyes how both our dogs have been suffering, we have 2 x Shar Pei’s renound for skin problems, thankfully we have seen all your hard work in publising the untold suffering that all our family pets have been going through. Both Mumford & Monty have changed to home cooked meals over night and will keep you posted. We have also notified all our friends with dogs. Thank you for all your hard work in researching the terrible problem of the pet food industry and how they are making our loved pets sick making the consumer pay high prices for the crap they put in it. I have been aware of this problem for some time. I have a signed copy of Howard Lyman’s book, Mad Cowboy, exposing the beef industry and how it is making people sick as well. The same sick stuff is going into our pet’s food too. I stopped eating beef over 30 years ago and I’m glad I did. 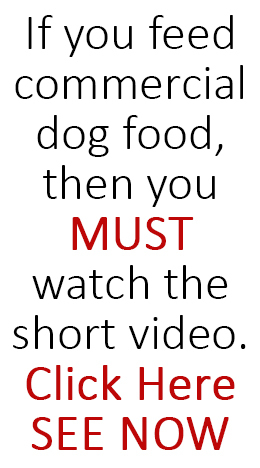 I try to select the best food reading labels when buying dog dog food, but I see from your videos and reports that it is not enough. The consumer is still being tricked and scammed. I do cook for my little dog Ginger, but now I will be doing more of it. I just had to put down our Shetland Sheepdog. She was 18 yrs. old. I tried to do the best I knew how by her. I will do better for our new dog Ginger, a Pom. She is a nice Pom. I haven’t obtained your book yet, but plan to. Thank you for exposing the terrible pet food industry for what it is. Sharon.